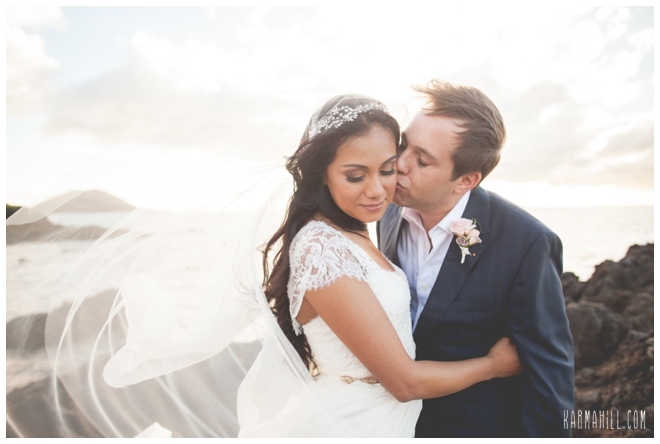 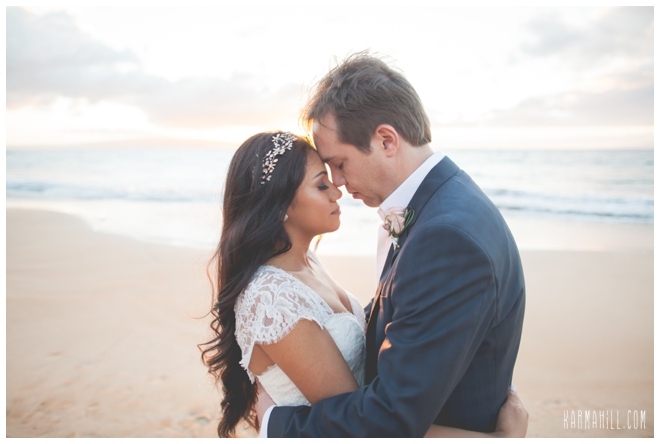 Ana & Robb were married last week under the perfect tropical setting. 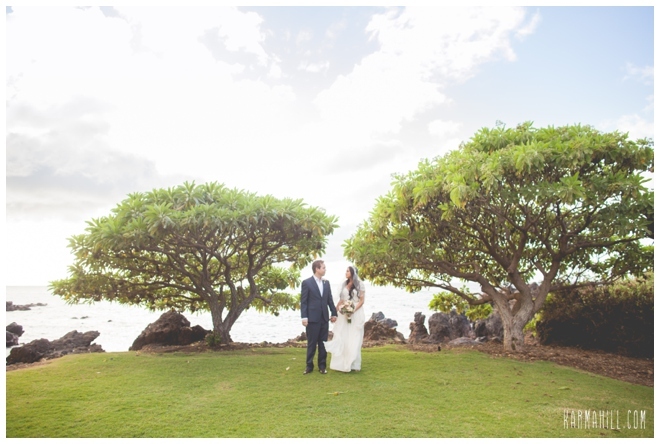 They reserved Kukahiko Estate to be married on a gorgeous private estate overlooking the ocean. 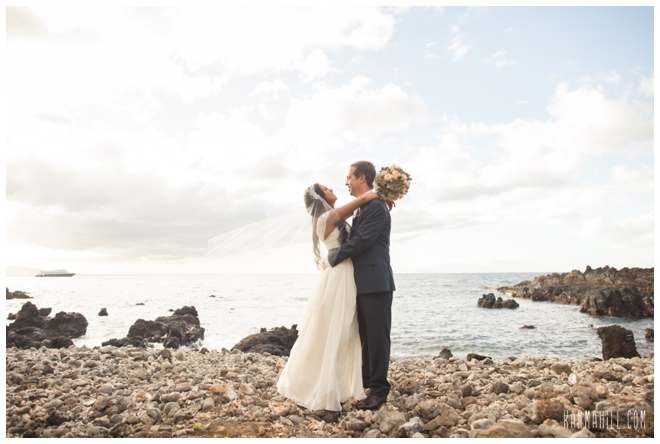 The sun was shining and the water was calm and they couldn't have asked for a better day. 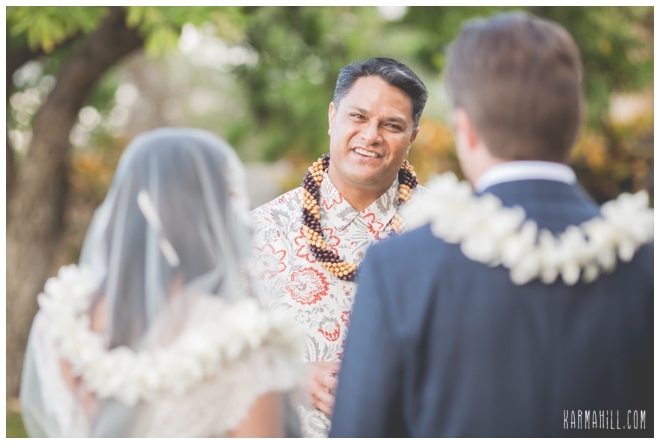 Reverend Valentine Rosete officiated their ceremony as David Wolf serenaded them with music. 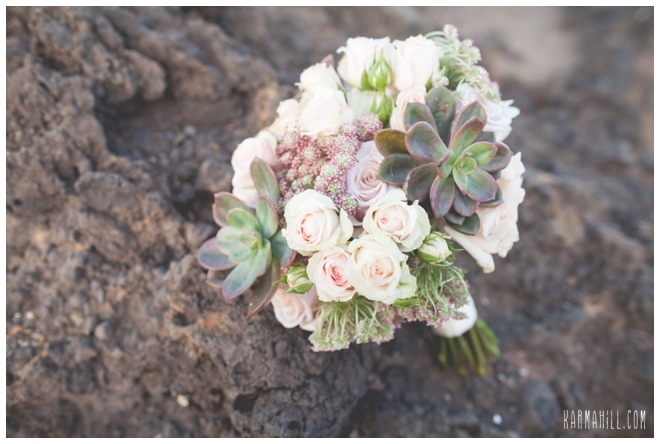 Ana's custom bouquet made by Dellables was adorned with beautiful succulents. 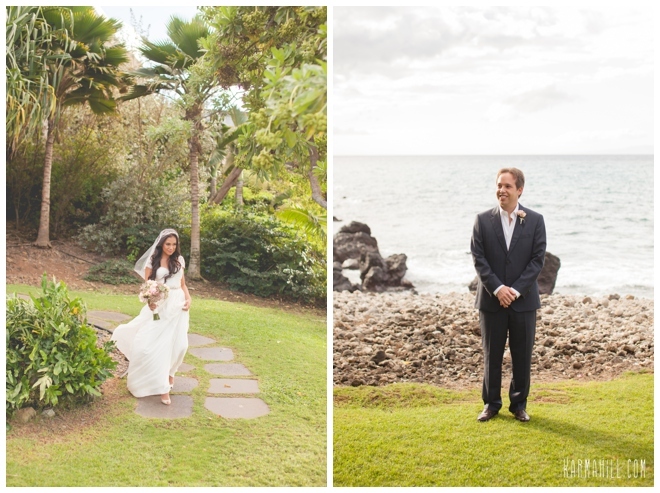 Staff photographer Ajja took pictures for Ana & Robb on the property of Kukahiko Estate before traveling down to Southside for beach and sunset pictures. 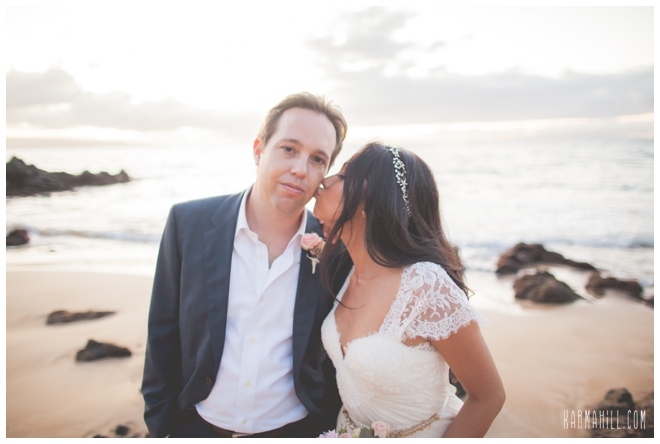 Ana & Robb rented a Tesla from The Limo Company to ride in style. 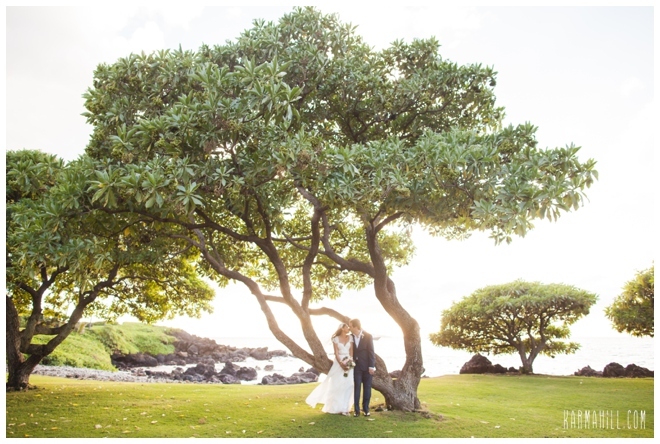 It was a beautiful setting to be married in and we are so thankful they chose Simple Maui Wedding to be a part of it. 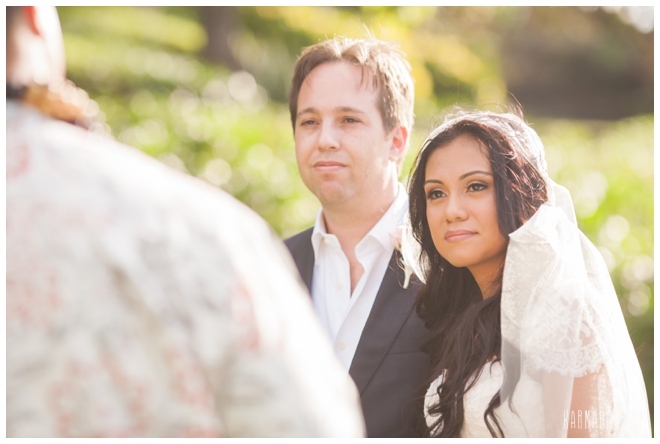 We wish you the very best Ana & Robb! 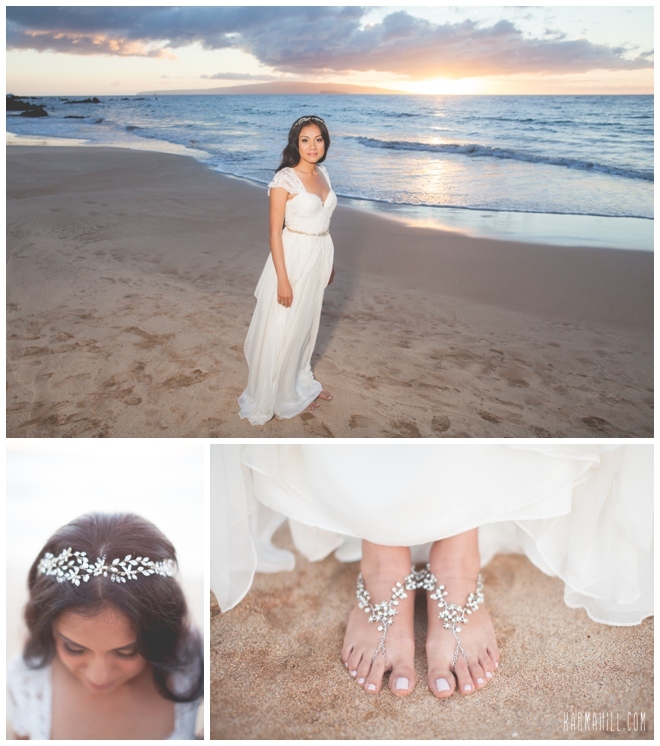 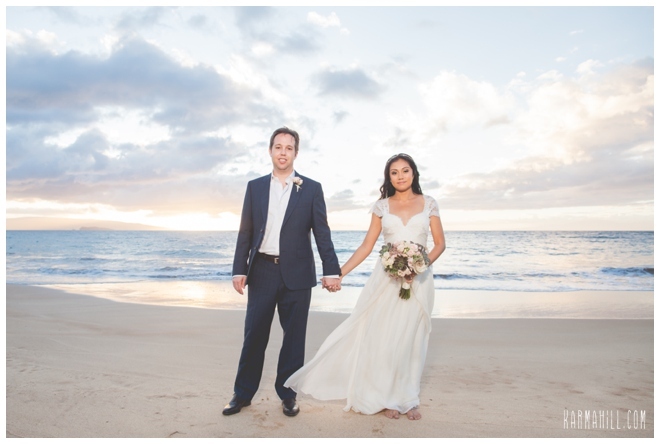 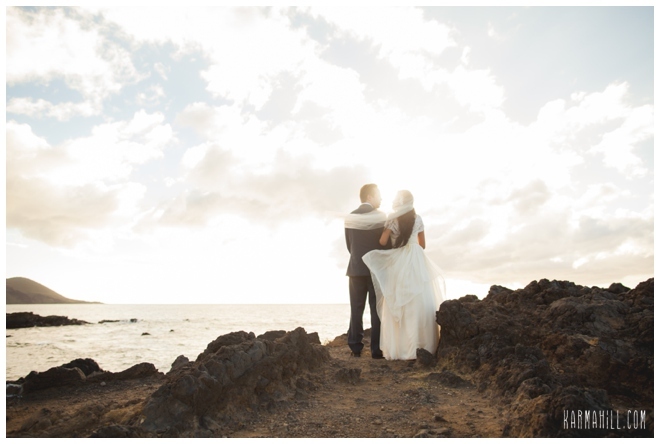 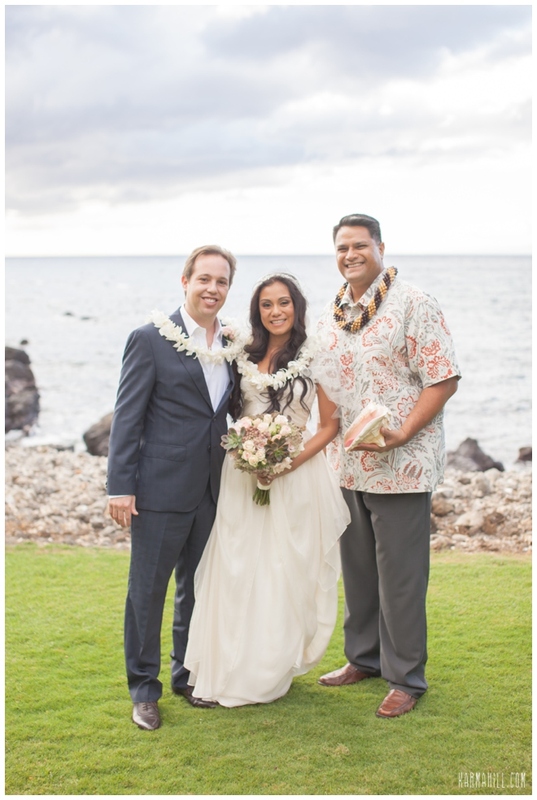 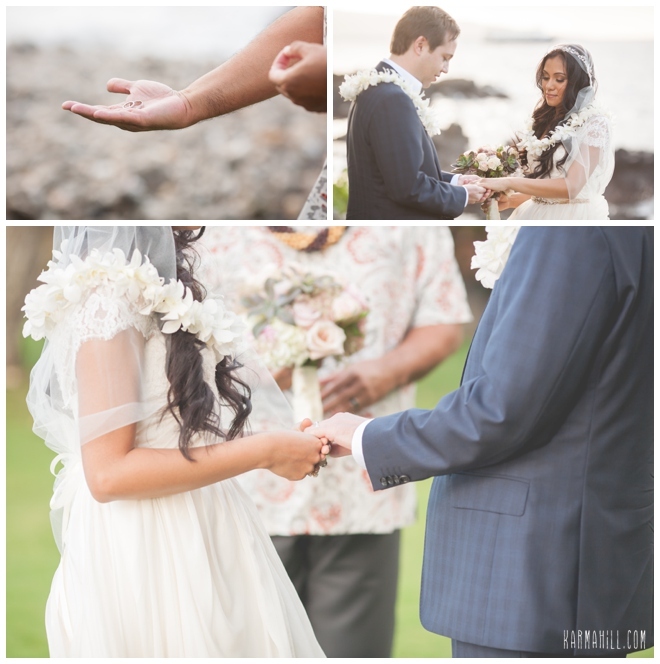 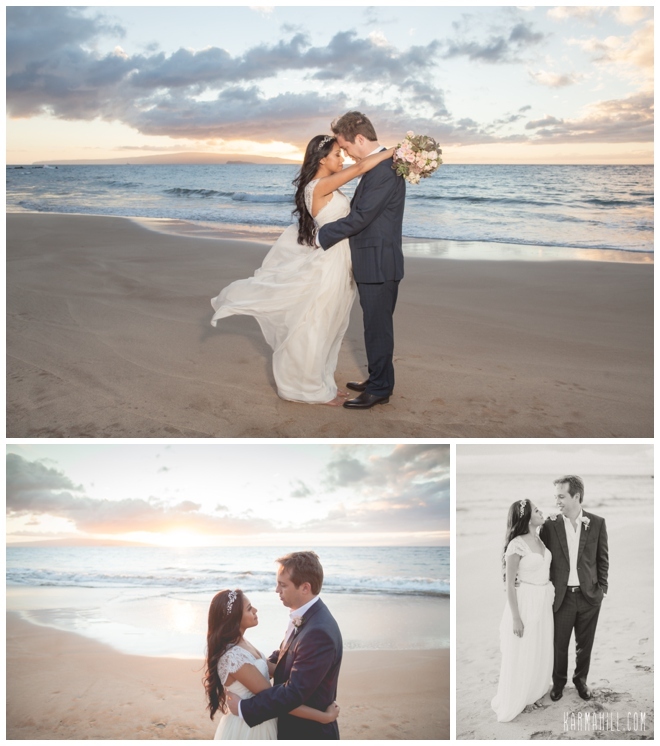 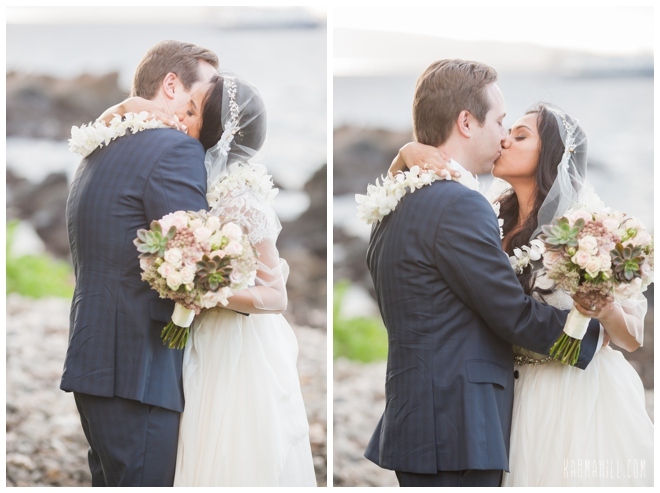 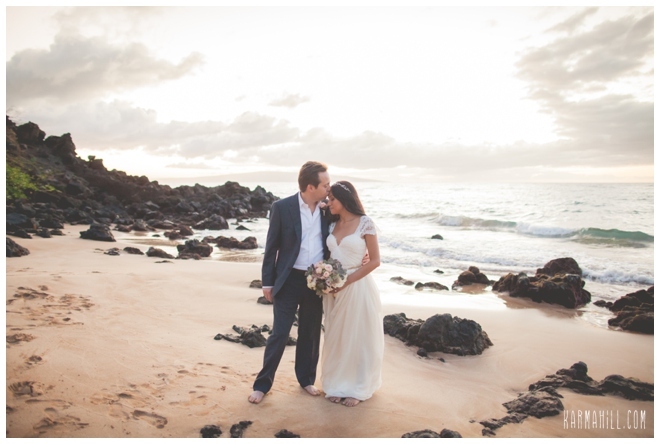 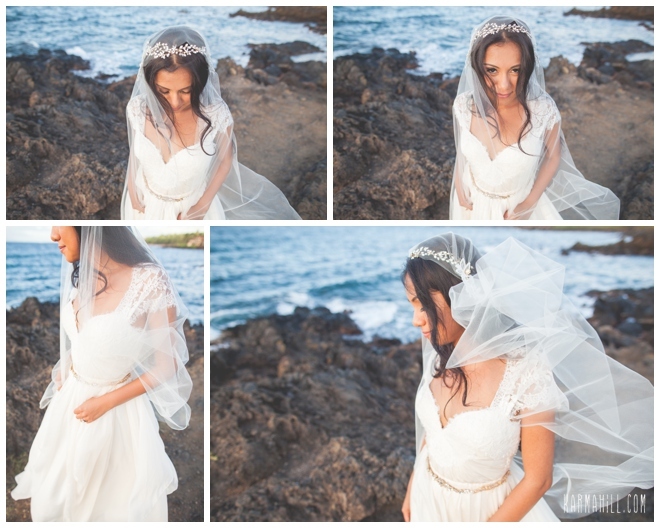 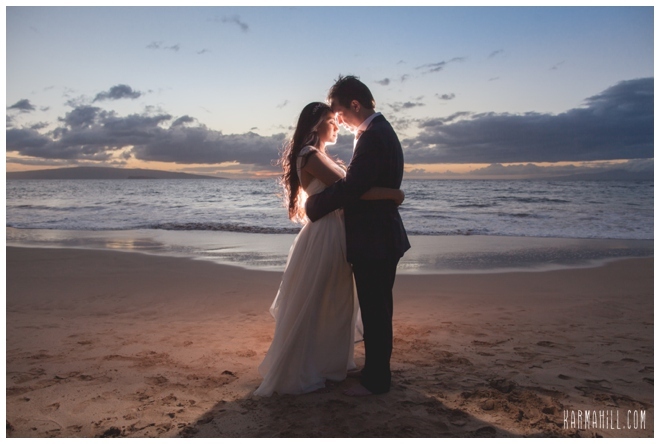 Check out our last Maui elopement with Alex & Carlos!